I wish we could ride our bikes more places instead of cars. What great exercise and healthier for the environment. Even biking to school is a bit far for us though Hubby will ride with the boys a few times a year. Lucky for us we received a new Master Lock to lock up our bikes! Before I tell you about the new lock check out this infograph…I loved seeing Boulder as a top bike-riding city. My brother lives there and brags all the time about what a health-conscious city it is! Did you know that more than one-third of riders don’t lock up their bikes, and nearly half of Americans have had their bike stolen, or know someone who has? That is a lot! Master Lock has many varieties of locks. Check them all out to see what fits your needs! 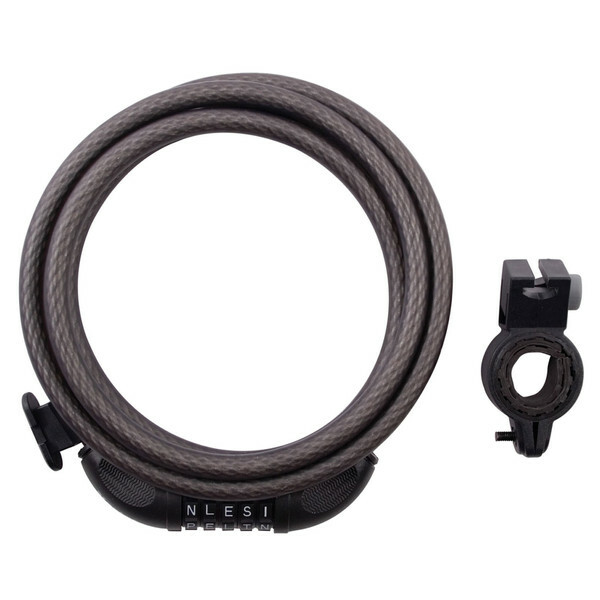 Win the Cable Lock 8220D ~ 2 Winners! I received this product for review and all opinions are my own. This giveaway will end on May 23, 2012 at midnight EST. Winners will be drawn via rafflecopter. Once a winner is drawn I will contact them and they will have 48 hours to reply before I draw a new winner. Giveaway is open to anyone in US and you must be 18 years of age or older. Giveaway not affiliated with Facebook & I release them of liability. Winner will be posted in the rafflecopter widget. Kid Apps! I See Me! Peaceable Kingdom! Kidecals! Giveaway! I don't ride bikes, but my Daughter does with her 3 kids and this would be great for her. I love bike riding! And I do need a lock so I can ride to the park! I love riding my bike, and I'm so glad the weather is finally warming up here so I can. That's crazy that less than half wear their helmets while riding. It's so important! My Son is ready! I cant wait to see him riding his bike! My daughter could use this. She is in college and rides her bike across campus from class to class. Thanks! We already got the bikes out and my grandson took his training wheels off! My husband and oldest son are AVID cyclists and since we live in Portland, Oregon, they are two lucky guys! Portland is a pretty bike friendly city and outside the city, there are hundreds of bike trails. We are more than ready. Nothing like a long ride on a warm sunny day. Just got a new bike! This great lock would be very useful. Thanks for the giveaway. I am more than ready to get my bike out. It's time for shorts and sunshine and bikes! I am so so so ready for biking season. We are behind schedule this year b/c of our gardening projects and a million family and church events in May! :) But I can't wait! The bikes are out. Although today is very cold here in Pa. I bought a high $$ bike a couple years ago but don't have anyone to ride with. I'm going to take it to my daughter's house so I can go for rides with the grandkids! I've already had my bike out! I use my bike lock all the time! Just got a new bike so I am definitely ready to get it out and ride. We've been thinking about getting the bikes out this week. Yes, I already have my bike out. I am more than ready to get the bikes out. Thanks for the chance. My bike is up and ready to go! I have had my bikes out several time this year. We ride our bikes almost all year long. There's about 2 months where we may have them parked. I just got a new bike and am afraid to ride it anywhere for fear that it will be stolen....this lock would put my mind at ease. :-) Thank you. I'm ready - the weather, not so much.